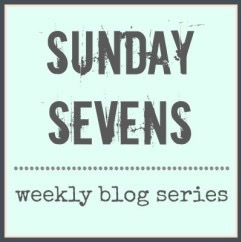 Last week Monday was the new Sunday as there were a few of us who were late with their Sunday Sevens. Yesterday I was too busy having fun at the seaside and was late back so here we are again, but as the old saying goes, better late than never! I’ve not had chance to catch up on my reader from over the weekend yet. 1. 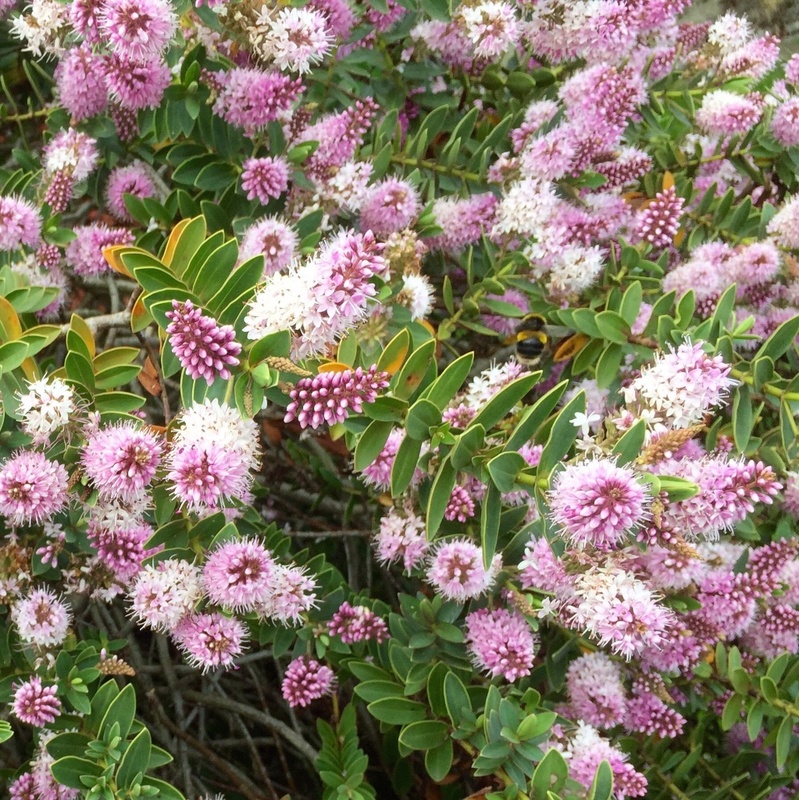 Our hebe bush in the garden is a mass of flowers at the minute, and bees! 2. H Facetimed me whilst I was at work – I took a photo of the iPad screen. Crazy boy! Don’t know where he gets it from! 4. 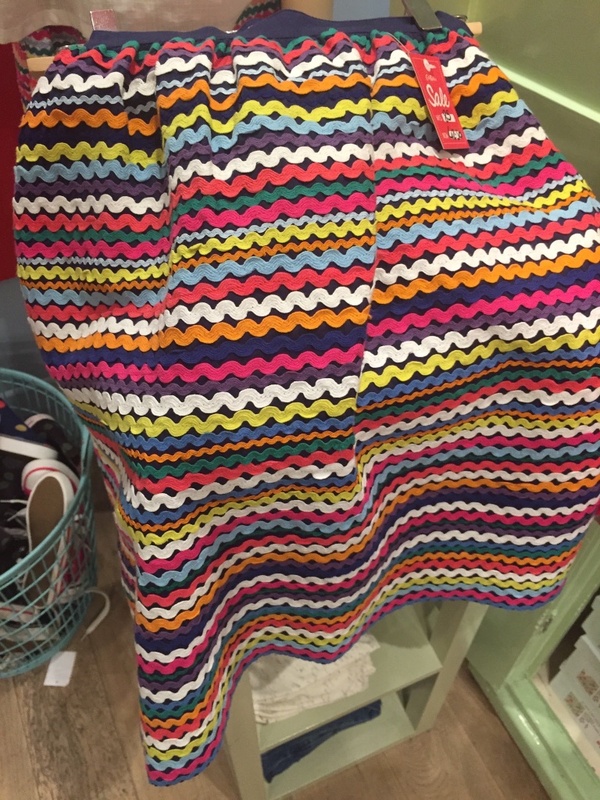 Nipped into Leeds and saw this skirt in Cath Kidson shop half price in the sale at £44!! 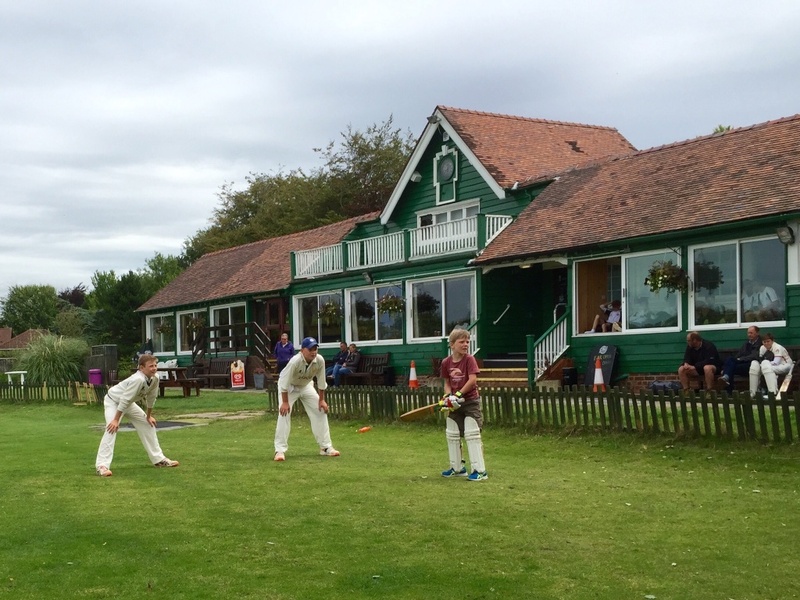 How fab is it – very inspirational! 5. 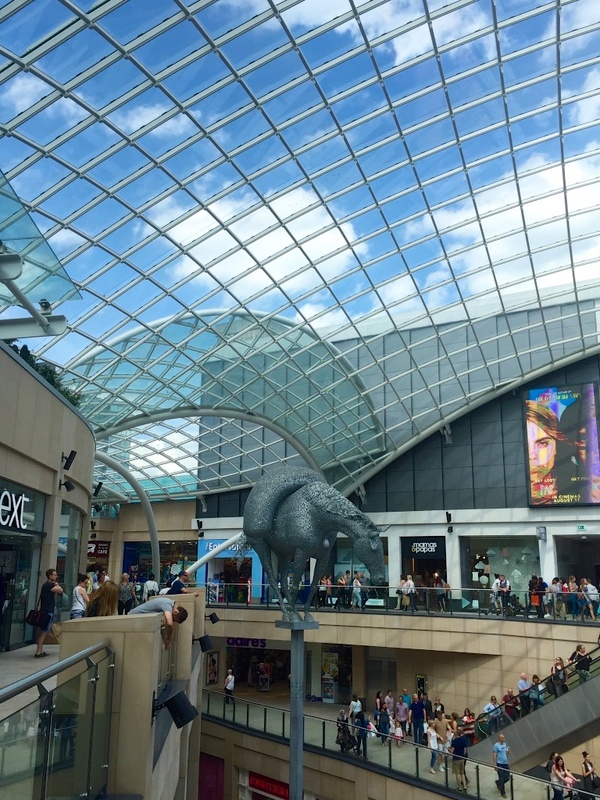 Here’s inside our newest shopping centre in Leeds. It’s THE place to be!! Not for me though as there’s no fabric shops!! I only call in to use the loos! 6. 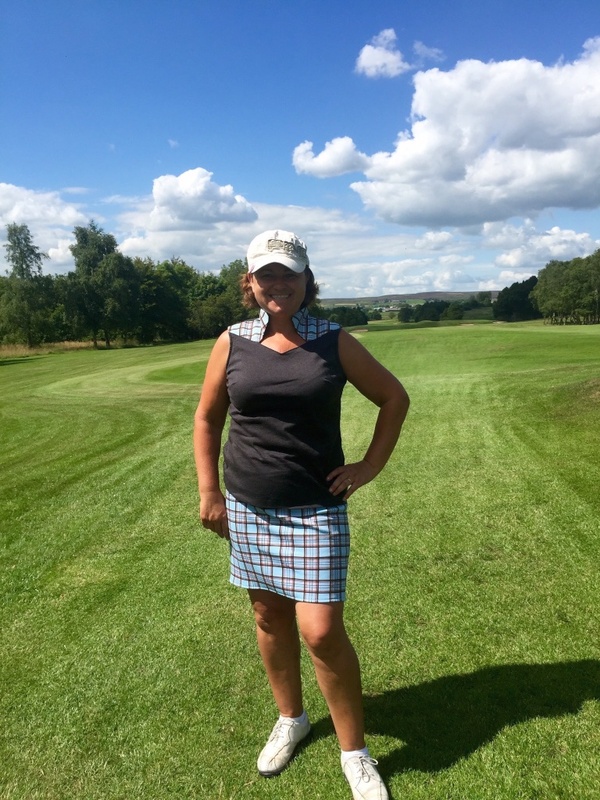 Played in a team event at Bradford Golf Club and whipped this skirt up in an hour before I played. You might remember the trousers I made to match this top? It was a bit warm for them so I needed a skirt to match V1429! 7. Mr Thimbers jet ski came out of hibernation and we went to Whitby for the day with our old jet ski buddies (pre-children 3 other couples had skis and it was a year round hobby). Our ski is about 20 years old and is the only one still running. Craig had loads of fun taking all the kids out on the ski. The skis not been used for 6 years so was a fab day. H wore my wetsuit so I couldn’t go 😦 and I think I need to invest in a bigger one before we go again! Hope you’ve all had a lovely week and the suns been shining. Unfortunately there’s no update on the kitchen at my parents – it’s waiting for a lick of pain (bought today) and new flooring to be put down. The feature photo is Darren (one of the big kids), isn’t the beach gorgeous – if only we had great weather in England a bit more often we’d never want to go abroad! Love the skirt, was it just ric rac sewed onto a base? I take it you left it in the shop and didn’t buy it. I totally agree about England being the best place to be in a good Summer. I bet they love to see what you’re going to come up with on the golf course next. H certainly seems to have inherited your sense of humour! Haha, too bad you didn’t get a shot of your son and his grand mum both with potato chip lips! That ric rac skirt is pretty cute. I’ve been golfing – once – would love to start going regularly. I wore jeans and a t-shirt. You look so professional on the course! What a fun week you’ve had. Love the beach and water fun!!! My all time favorite place to spend my time. I would love to see the beaching over there some day. That skirt is really cute. I have to admit that my first thought was ironing all that ric rac down again after washing. I have some giant ric rac in my stash. Hmmm. Cure golf skirt… Looks like the day at the water was fun! I have not gone this summer at all. 😦 I really need to go as we love the beach! Oooh jetskiing! Looks like a perfect summer week. I know what you mean, I was just on vacation in Nantucket for a few days last week and just happened to have perfect weather. This week is raining – I really lucked out! Loved your typical wild week, specially that 1-hr skirt. You look a right proper pro! Yep, but not a usual brand. I would association Oxo with up-market shops; there are less expensive brands here. Two new skirts this week!?! I have seen the gorgeous Cath Kidston one before. Lovely! I love the golf one though……makes me want to start playing golf!!! Looks like you had a great week and I’m with you with the weather!!! Ha, ha! I go in there to use the loos too! There were never any decent clean loos before without a trek and a good wait up the top of M&S or Debenhams! Looks like a fun-packed outdoors-y week 🙂 Love the little golfing number. Not sure about the skirt but always good to see ric-rac being used innovatively. You’re so right about the weather. Britain is soooo beautiful. If the sun shone more I’d never leave it. By the way your golf outfit is fab. Sorry I’m a Lancashire lass so I can’t be pleased about a Yorkshire win!!!!!! Ahh I want a go on a jet ski!! 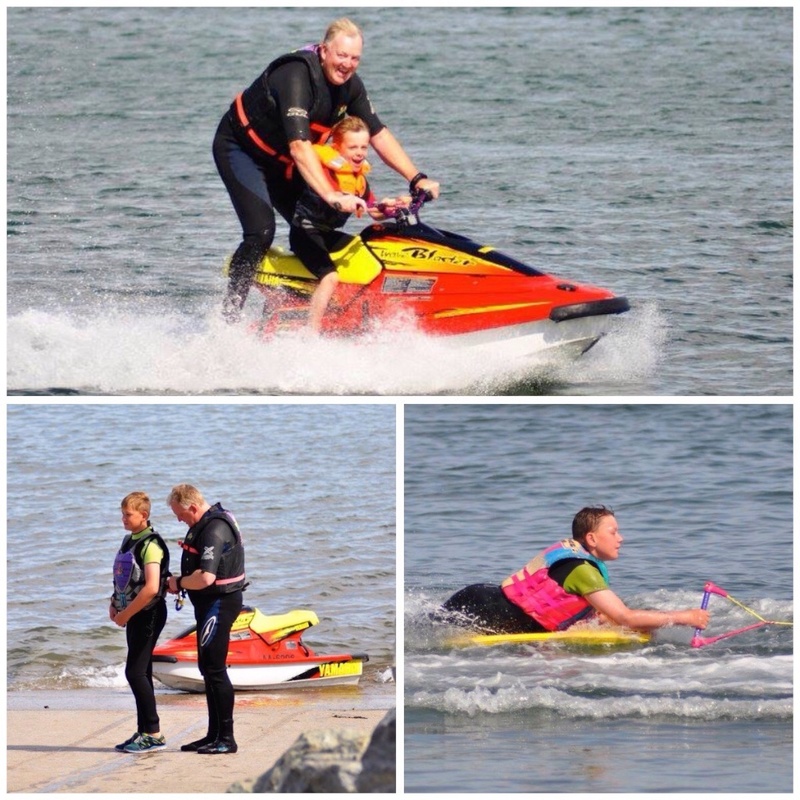 We are very jealous of your Jet Ski… Adam is wanting one quite badly at the moment! 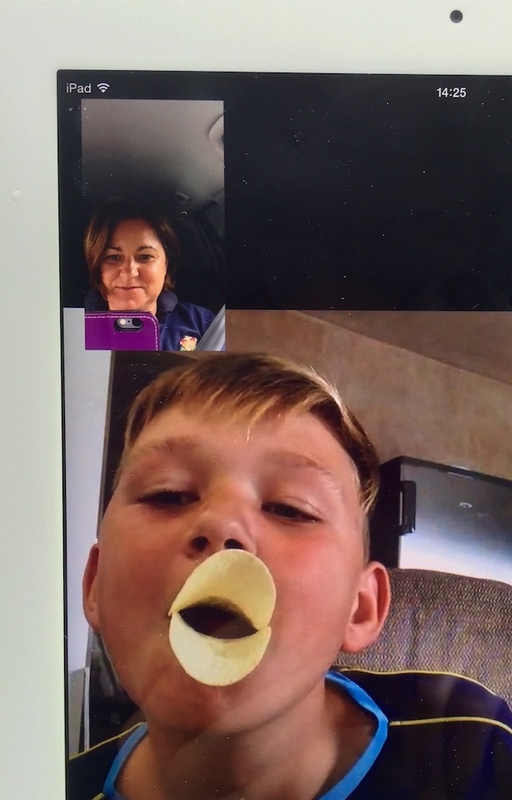 It looks like they are having loads of fun 🙂 H made me laugh…I could never eat a packet of Pringles without doing this or having the ‘how many can I fit in my mouth’ challenge!